Photographic evidence of this guy's crap haircut! 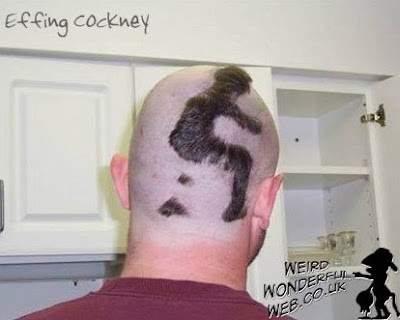 Have you ever had a REALLY crap haircut? It's embarrassing having to go out in public isn't it? Well, spare a thought for this guy. He's got a REAL crap haircut! A dodgy Zidane headbutt game!